Small Faces were an English rock band from London. The group was founded in 1965 by members Steve Marriott, Ronnie Lane, Kenney Jones, and Jimmy Winston, although by 1966 Winston was replaced by Ian McLagan as the band's keyboardist. The band is remembered as one of the most acclaimed and influential mod groups of the 1960s. With memorable hit songs such as "Itchycoo Park", "Lazy Sunday", "All or Nothing", "Tin Soldier", and their concept album Ogdens' Nut Gone Flake, they later evolved into one of the UK's most successful psychedelic acts before disbanding in 1969. After the Small Faces disbanded, with Marriott leaving to form Humble Pie, the remaining three members were joined by Ronnie Wood as guitarist, and Rod Stewart as their lead vocalist, both from The Jeff Beck Group, and the new line-up was renamed Faces, except in North America, where this group's first album (and only their first album) was credited to Small Faces. This practice has continued on all subsequent North American reissues of the album to this day. 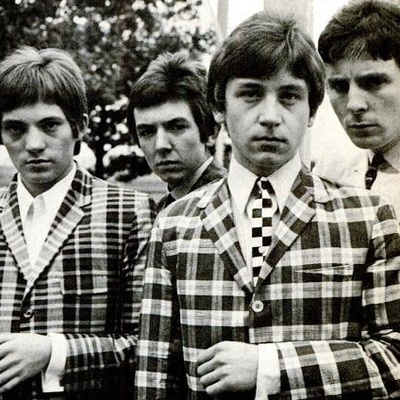 A revived version of the original Small Faces existed from 1975 to 1978. Small Faces are also acknowledged as being one of the biggest original influences on the Britpop movement of the 1990s. Despite the fact the band were together just four years in their original incarnation, the Small Faces' music output from the mid to late sixties remains among the most acclaimed British mod and psychedelic music of that era.